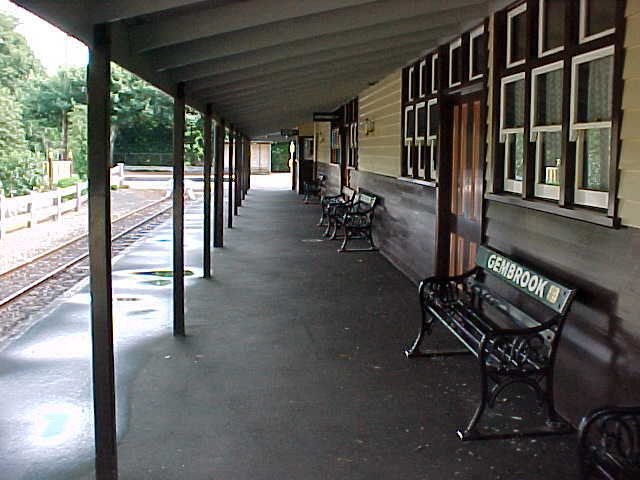 Gembrook is the terminus of the line with only a small number of Puffing Billy services operating all the way through to this station. 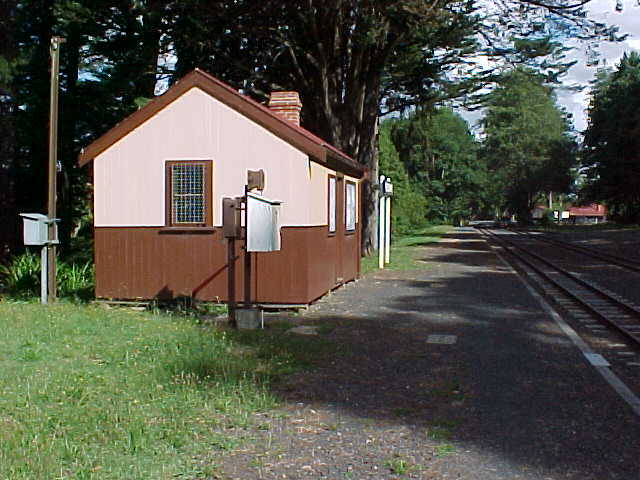 There are actually two separate stations located at Gembrook; a large station building and island platform located in the town centre and a small station building and single platform located a short distance on the UP side of the main station. 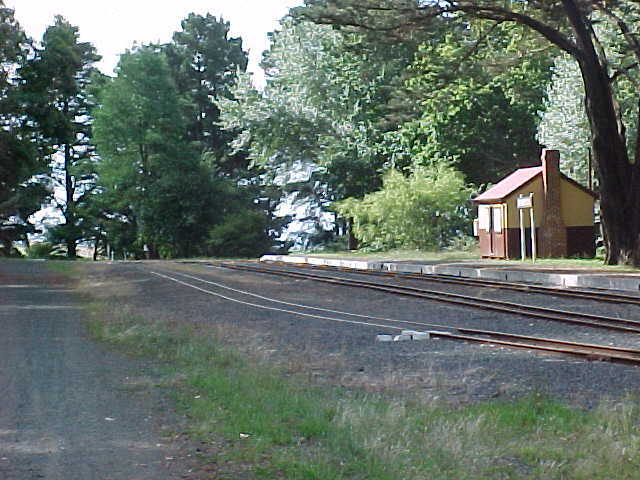 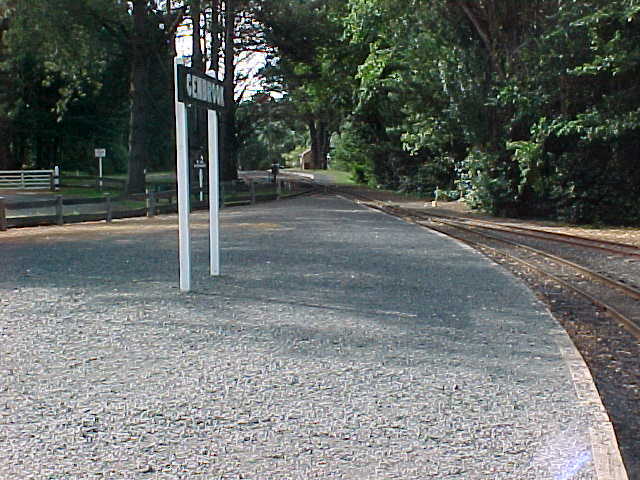 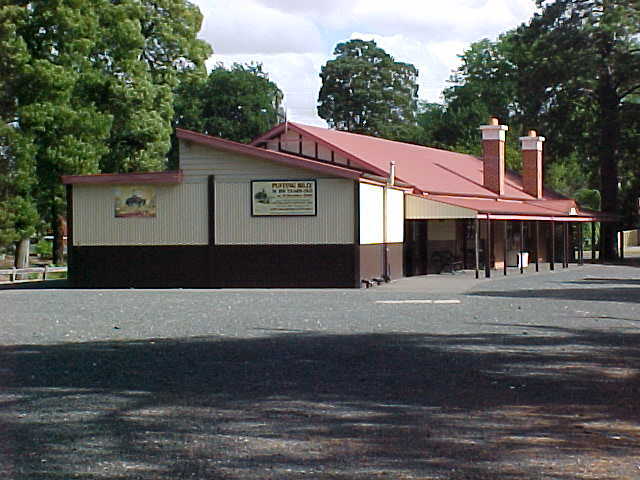 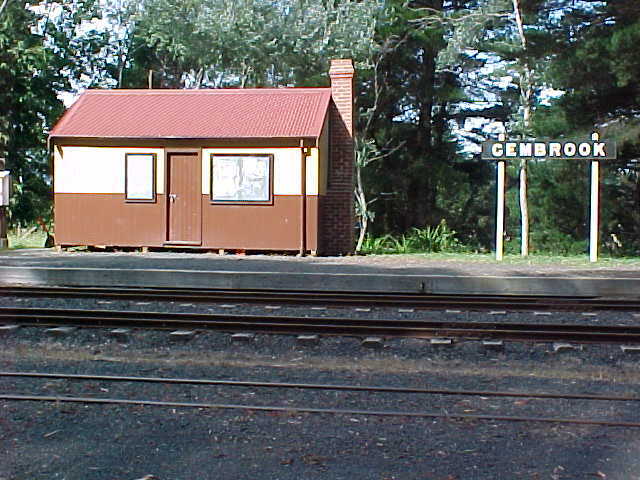 The small platform represents the location of the original station at Gembrook while the larger station is used by most Puffing Billy services.